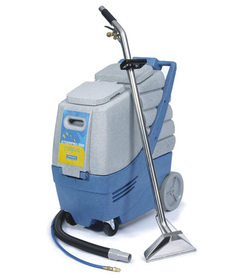 Want to start your own carpet cleaning business? There are many machines available some of which offer a free training course which we highly recommend you attend however these course generally teach you the science behind carpet cleaning PH levels etc.. Unfortunately on many of these courses you don't get to use a machine and your not even shown how to turn them on. Altho there are many machines in most cases the function and technique is the same. Come and train with us for as little or as long as you like, we get you cleaning real carpets (not cut offs or mats) so by the end you have real carpet cleaning experience and know your way round Europes most used carpet cleaning machine. We don't just get you to watch we get you to do it too, you will be trained by 2 people to assure you pick up as much as possible and will be trained on your own (not in a classroom) which enables us to give you our full undivided attention. We also show you all the equipment we use and where to get it for the best possible price. WE DON'T SELL ANY MACHINES OR SOLUTIONS !! which means we wont try and sell you anything at all and wont push any particular machine on you. We will advise you of companies to use to ensure you get the best deals possible for your needs. Once you have trained with us you are welcome to call any time with any questions this is for the length of your career and is completely free. This course is not just for people wanting to start carpet cleaning we have also had people on our course who have been doing carpet cleaning but not getting the results they want, For these people we recommend our 1 day course to learn the techniques needed to ensure the best results every time.